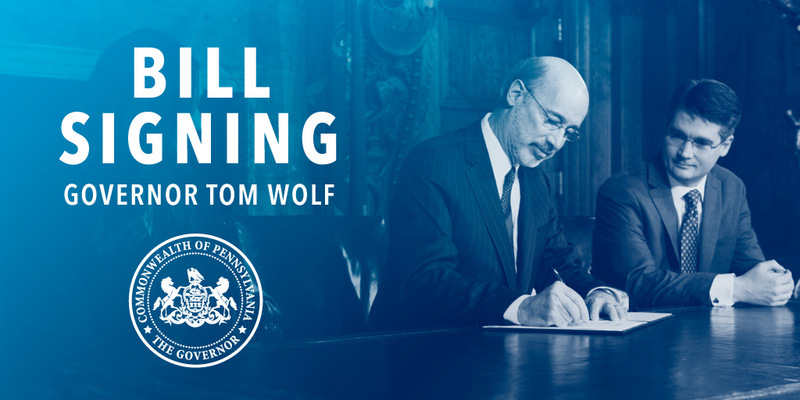 Harrisburg, PA – Today, Governor Tom Wolf signed HB 2107, sponsored by Representative Matt Baker, which prohibits the commonwealth from contracting with any company or organization that engages in an economic boycott against Israel. The movement to engage in these kinds of boycotts, called Boycott, Divestment, and Sanctions, or BSD, has actively encouraged boycotts in place of peace talks to settle the Israeli-Palestinian conflict. This law will prohibit contracting with BDS businesses, states that a purchasing agency may not contract with a company unless the company certifies that it is not currently engaged in a boycott of an entity based in or doing business with a jurisdiction not prohibited by Congressional statute from engaging in trade or commerce. Also, the entity must certify that it will not engage in such boycotting during the duration of the contract. The Department of General Services will make available a certification form that verifies a company is eligible for business, which shall be provided when registering to do business as a vendor with the commonwealth.